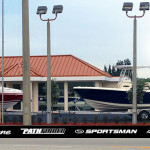 South Florida is a boat mecca, which makes it an amazing location to shop for and purchase a used boat. Few places in North America match it in terms of sheer choice and the proximity of that selection. For those who prefer the hands-on approach to shopping that the Internet cannot provide, Marine Connections large facility gives without a great deal of travel from 3 international airports. Of course, it doesn’t hurt that the weather is fantastic and the scenery stunning. When it comes to used boats, South Florida is not without its faults, however. Sometimes you can experience too much of a good thing, and for the neophyte boat buyer, all that choice can overwhelm. Another issue is shady business practices. Since South Florida is a mecca, it attracts all types, including operations willing to turn a quick buck at your expense. 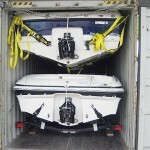 Marine Connection has been in the business of selling and exporting high quality used boats for over 20 years. This company specializes in offering to of the line inventory at the most affordable prices. 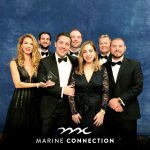 Marine Connection looks to provide customers with the most informative and professional shopping experience be it by way of the Marine Connection showroom or online. The inventory at Marine Connection is updated daily offering you more variety than you would expect from any high quality boat dealer. You will enjoy this seamless purchase with at this one-stop shop where financing and export are both done in-house! 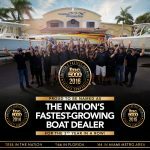 Marine Connection is the proud dealer of high-end luxury boats including, but not limited to, Cobia, Sailfish, Hurricane, Rinker, Pathfinder, Sportsman, Bulls Bay, and Hewes powerboats. For added assistance, Marine Connection offers you the opportunity to ask any questions you may have regarding the currently available boats. Marine Connection will also demonstrate the boats and offer any guidance that will assist you in making the most educated purchasing decision. You are bound to find what you heart desires after scouring the inventory in our 3 ½ acre facility. You won’t find a larger selection in Florida! 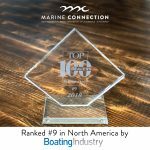 Whether you are in the surrounding area or live thousands of miles away, Marine Connection looks to cater to your boating needs. 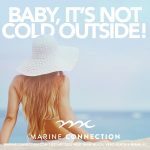 To find the used boat of your dreams contact Marine Connection today!